After their second daughter was born, Jenn and Ben decided it was time to buy their own home. After a lot of work, Jenn found their dream home and they bought it before Ben ever saw it in person! Living in Santa Barbara, they decided to move to Sacramento to be closer to family after their first daughter was born. The home search ran into a few dead ends before they found their dream home. 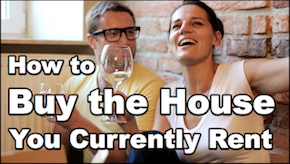 Takeaway: Buying a house is a series of compromises. Bonus Tip: How to help your husband find a job in a new city.